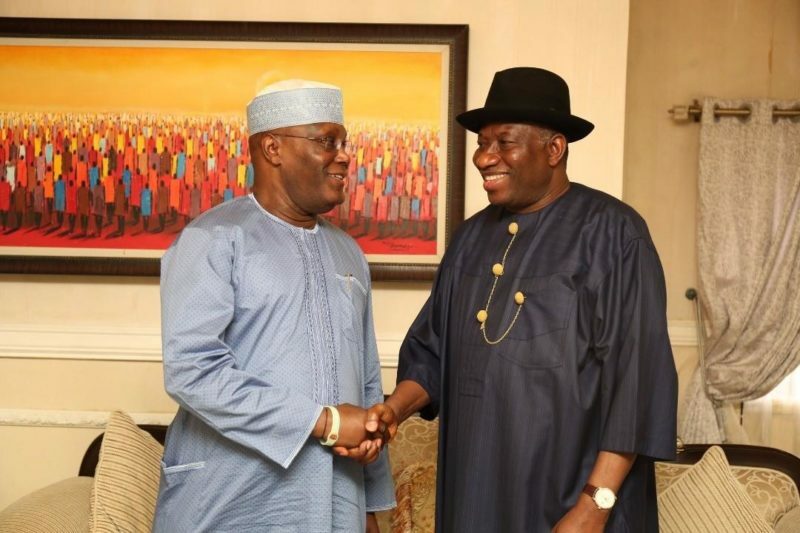 Former president Goodluck Jonathan has said he’s in full support of the presidential bid of Alhaji Atiku Abubakar and his running mate, Mr Peter Obi. Jonathan stated this in refutation of rumours making the rounds on social media that he was opposed to the emergence of Mr Obi as the vice-presidential candidate of the Peoples Democratic Party (PDP). The former president spoke in a statement signed by his media aide, Mr Ike Eze, on Friday. The statement reads, “Our attention has been drawn to a fake article circulating on line, to the effect that former President Jonathan has expressed misgivings over the emergence of Mr. Peter Obi as the Vice Presidential candidate of the Peoples Democratic Party (PDP). “It however did not say when this happened. We can only state that this is a figment of the imagination of the writer, as neither the former President nor his office is aware of such an event. “We would have refrained from commenting on this obvious falsehood, since all credible newspapers and online news sources have not bothered to give the poorly written article any attention; but this being the era of social media when even silly stories could gain some traction, we are constrained to disclaim the publication.